From predicting the movies we watch, to forecasting the path infectious diseases will take, data and the algorithms that work within this space are creating a growing demand for data scientists. Tasked with extracting meaning from vast, messy sets of Big Data, these professional “data wranglers” must possess real-world skills in programming; statistical, predictive, and quantitative analytics; data mining, modelling, visualisation and more. Today, over 40 universities offer rigorous master’s in data science programmes to develop these highly technical skills. In this guide, we’ll tell you how to choose the best online programme for you, based on your background and career goals. How will employers meet the need for top tech talent? Online masters programmes in data science hold the key. Employers also consider the reputation of the institution and the programme. Fortunately, with the nation’s top universities now offering rigorous programmes online, you have many options for obtaining a highly-respected degree without relocating. Many employers are still skeptical of institutions that are strictly “virtual” and/or for-profit. A traditional campus reassures them your alma mater is a reputable, established institution. If you’re just beginning to explore a career as a data professional, it’s easy to get overwhelmed by the various options and job titles. 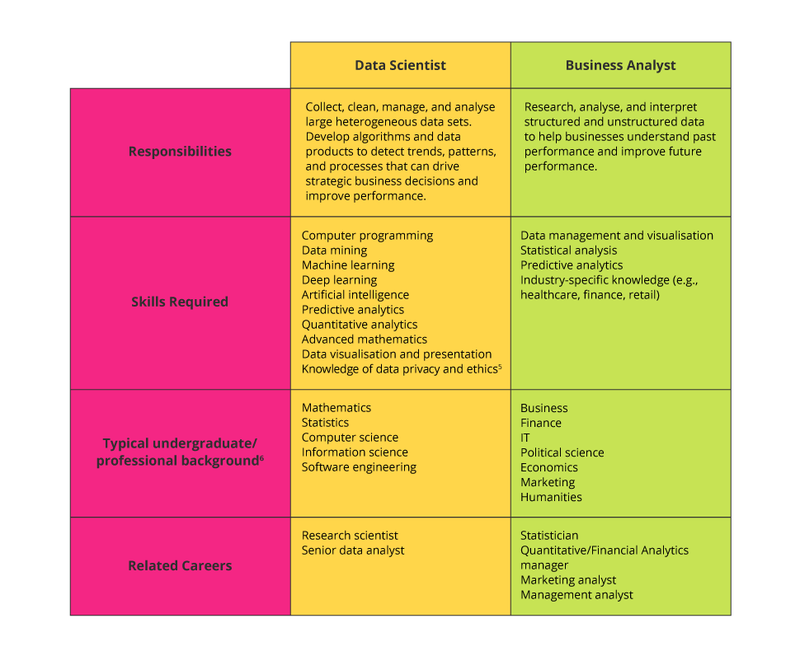 As a starting point, let’s take a look at two popular data career paths. Once you’ve confirmed you’re on the right path, it’s time to find the programme that fits your background and career needs. Are you new to the field or a seasoned professional? 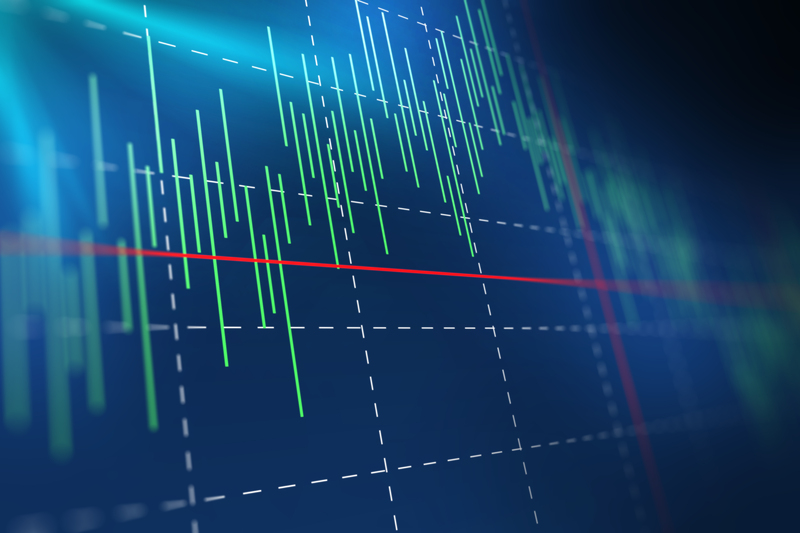 Do your quantitative skills need sharpening or are you ready to dive right in? Don’t worry. You have options! Accelerated Programmes: An online master’s in data science typically requires 27-48 credits and takes 18-36 months to complete on a part-time basis. However, if your personal schedule permits and you have experience in the field, you can complete your degree in as little as 12 months in an accelerated program. Just make sure you have the required quantitative, analytical, and programming skills before enrolling. Executive Certificate Programmes: Not interested in another graduate degree, but need data science skills to advance your career? Then online short courses such as Harvard’s eight-week Business Analytics course or UC Berkeley’s six-week Data Science for Executives might be your better choice.9 Each of these 2U partner programmes offer the skills you need to make data-driven business decisions, recruit the best data talent, and lead data science teams and projects. Doctoral Programmes: If you’re interested in conducting cutting-edge research, teaching in a university, or gaining a high-level position with a major tech company, then a PhD in Data Science might be right for you. But be prepared! These programmes can take 4-5 years to complete on a full-time basis, require a dissertation, and have more on-campus requirements than a master’s. Also, be aware that titles for data science programmes vary between institutions based on field and focus. 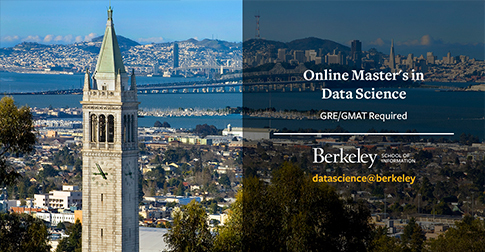 You’ll find master and doctoral data science-related programmes listed as data science, health/biomedical informatics, business analytics, business intelligence and more. All online student experiences are not created equal. Student support services from application through graduation and beyond. Data science graduate programmes vary by institution, but a solid curriculum should prepare you to “clean”, manage, and analyse large, heterogeneous data sets in order to solve problems, predict behaviours, and communicate results using sophisticated data visualisation tools. In these programmes, you’ll find courses in quantitative analytics, predictive modeling, machine learning, business intelligence and project management. You can usually expect to gain hands-on experience using in-demand tools and programming languages such as: R, Python, NoSQL Databases, Hadoop, Map Reduce, Apache Pig, Apache Spark, Cloud Computing, Github, Tableau, D3, Illustrator, R/ggplot2, Highcharts. Machine learning where you’ll develop the skills to teach computer systems to make predictions based on data. Business analytics where you’ll apply statistical methods and techniques to measure the performance of projects, processes, products, or entire organisations. Data engineering where you develop the skills to find trends in data sets and develop the algorithms needed to make that raw data useful. Data science master’s programmes are rigorous programmes requiring strong statistical and quantitative analysis skills to succeed. While many programmes do not require a specific type of undergraduate degree, they may give preference to applicants with degrees in statistics, applied mathematics, computer science or engineering. Other standard requirements include: official transcripts, letters of recommendation, interview, personal essay or statement of purpose, resume, application and application fee. Some data science master’s programmes also require a minimum undergraduate GPA so prospective students will want to check individual programme requirements carefully before applying. 1 (May 2018). ‘2018 Data Scientist Salary Report Highlights’. Retrieved from Burtch Works. 2 Markow, W. et al.(2017). ‘The Quant Crunch: How the Demand for Data Skills is Disrupting the Job Market’. Retrieved from IBM. 3 Friedman, J. (Jan 2017). ‘10 Things Employers Think About Your Online Degree’. Retrieved from U.S. News. 4 (Nd). ‘The Database of Postsecondary Institutions and Programs’. Retrieved from The Database of Postsecondary Institutions and Programs. Accessed 18 Mar, 2019. 5 Violino, B. (Mar 2018). ‘Essential skills and traits of elite data scientists’. Retrieved from CIO. 6 Guess, AR. (Oct, 2015). ‘Infographic: Busienss Analytics v. Data Science’. Retrieved from Dataversity. 7 (Nd). ‘Curriculum’. Retrieved from datascience@berkeley. 8 (Nd). ‘Bridge Course’. Retrieved from datascience@berkeley. 9 (Nd). ‘Data Science for Executives online short course’. Retrieved from GetSmarter. 10 (Nd). ‘Artificial Intelligence History’. Retrieved from SAS. 11 (Nd). ‘The TOEFL Test’. Retrieved from ETS. 12 (Nd). ‘The IELTS’. Retrieved from International English Language Testing System.